I am totally over the moon to announce the safe (and quick!) arrival of baby Peanut born on 9th June at 1.52pm! Peanut is actually a little.... GIRL! weighing in at 7lb 15oz of squidgy cuteness. Everythig went well with the labour and after arriving at the hospital at 12.30pm and a little confusion over what room I should be in, Evelyn swiftly arrived in to the world at 1.52pm after only 4 minutes of pushing with just gas and air into mummy and daddies arm for cuddles and skin to skin. We got home the same night (all be it very late) as James couldn't settle at nannies as he was too excited to meet his baby sister and we are enjoying being a family of 4! 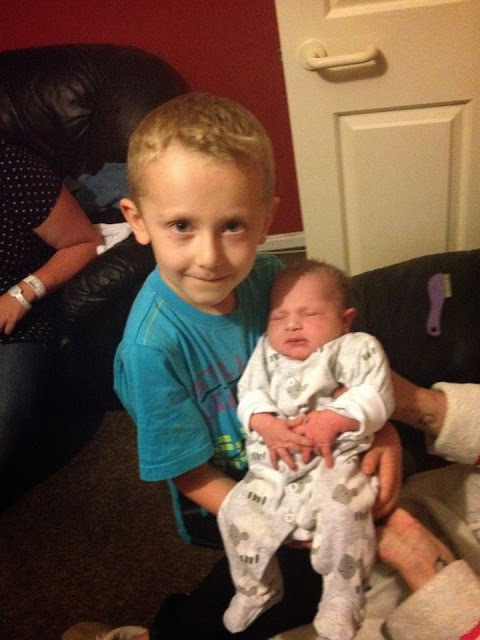 James is absolutely besotted with his new little sister and loves giving her lots of hugs and kisses. Here he is meeting her for the first time at around 12 hours old. I cannot thank the midwives, doctors and nurses at Southmead hospital in Bristol enough they were all AMAZING from the minute we walked in the door the the minute we left with our new little baby. So if im a little quiet on here over the next couple of days you know why but I will of course be posting lots of baby photos over on Facebook and Instagram still. Welcome to the world baby girl making our family of 3 into 4 and completing our family! Aww how lovely! 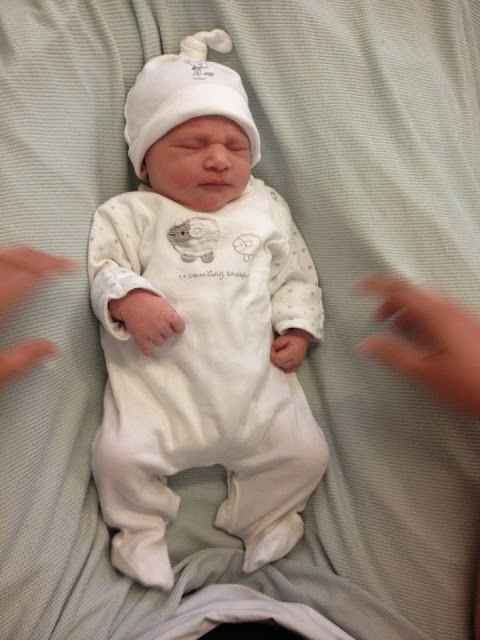 Massive congrats - welcome to the world little Peanut!! Congratulations! How exciting. She's beautiful. Aww, congratulations! She is gorgeous. 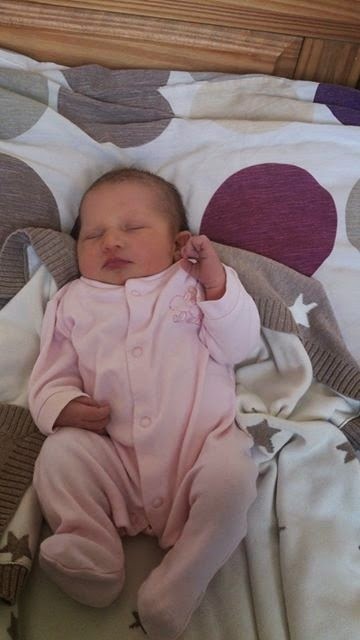 Many Congratulations she is beautiful, so cute and sweet.